Panic-stricken residents continue to escape, seeking shelter on rooftops or heading to evacuation centres. South Korea, Vietnam, Thailand, China and Norway are taking part in the operations. Pope Francis sends a message of condolences. 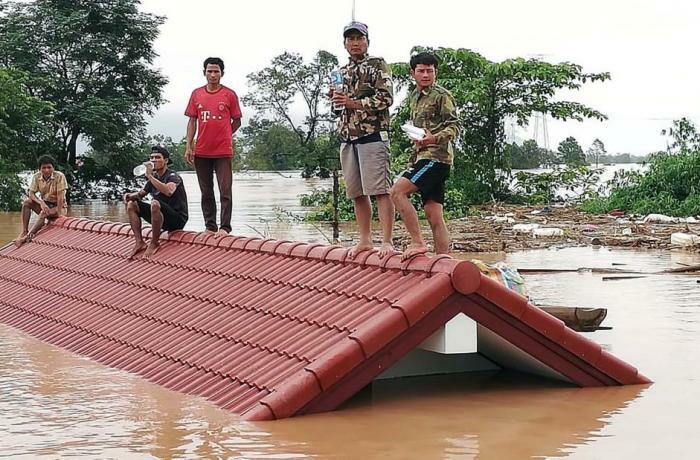 Vientiane (AsiaNews/Agencies) – Rescuers are scrambling to reach hundreds of people still stranded after a dam under construction collapsed three days ago in southern Laos. When the Xe-Namnoy dam caved in, some 5 billion cubic metres of water were released, sweeping away entire village with a death toll so far of at least 26 people. The dam site, on the border with Cambodia, is almost inaccessible, making it almost impossible to assess the scale of the disaster. In a rare press conference, Prime Minister Thongloun Sisoulith said that 131 people were still missing, all of them Laotian nationals. More than 6,600 people from eight villages were homeless, many stuck on roofs (pictures) or walking towards evacuation centres. Some survivors are saying that they received a warning of the pending disaster only a few hours before it actually occurred. Many roads have been badly damaged or destroyed forcing the authorities to deploy boats and helicopters to rescue people still trapped by the floods. Several countries have joined South Korea in the rescue operations. 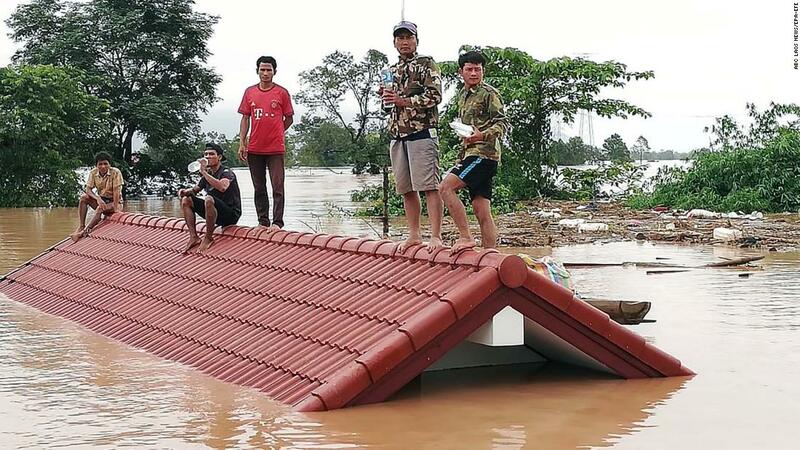 Vietnam has sent military and medical personnel and Thailand has announced the delivery of US$ 150,000 in aid. On the road to the small town of Sanamxai in the worst-hit area, Norwegian People's Aid trucks carried aid, including fresh water and blankets. A 32-member medical team from the Chinese People’s Liberation Army (PLA) has also arrived. A few hours after the disaster, the Vatican Press Office released a statement by Pope Francis, sent to the Laotian authorities by the Secretary of State Card Pietro Parolin. In the telegram, the pontiff expressed his “heartfelt solidarity with all those affected by this disaster. His Holiness prays especially for the repose of the deceased, the healing of those injured and the consolation of all those who grieve the loss of their loved ones and who fear for the lives of those still missing.